What is a google hangout presentation ? This is a live-streamed presentation by google hangout or skype by someone who is not present at the Festival. The introduction of a makerspace in Lima is our goal in the last 3 years. We were working in our context a concept of makerspace that can show the people how important can be to create, repair and design, and that life is not only to buy and throw to the garbage. 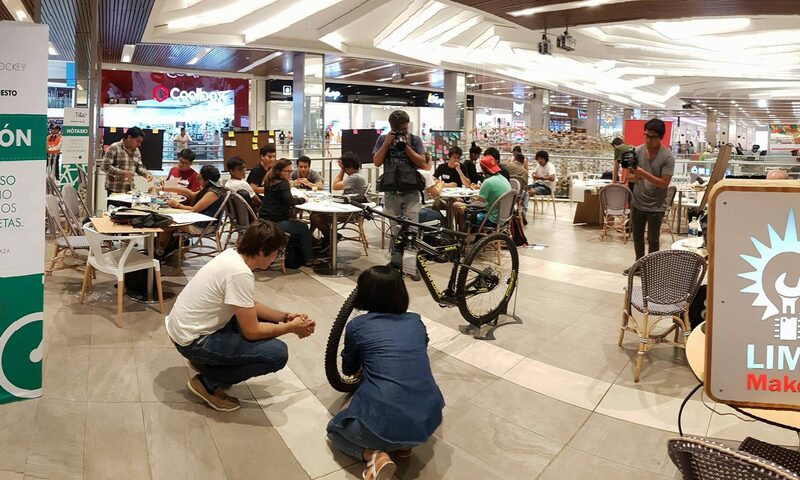 This adventure was making us to modify our strategies and models, from the original idea to be an open place, almost a public space vs be closed and create things for showing in a public space. Last 3 years we were learning how to aim to this context and how to achieve our goals of creators and at the same time being a sustainable independent business. Now, after this long exploration, we are aiming to two main activities: The first one make a factory/store with the products of local creators that also can teach how things are coming to this world. In the other hand we are aiming to promote the activities of designing the spaces by collaboration of the users of the places and then take this designs and make them in real life. Ricardo will give a google hangout presentation. 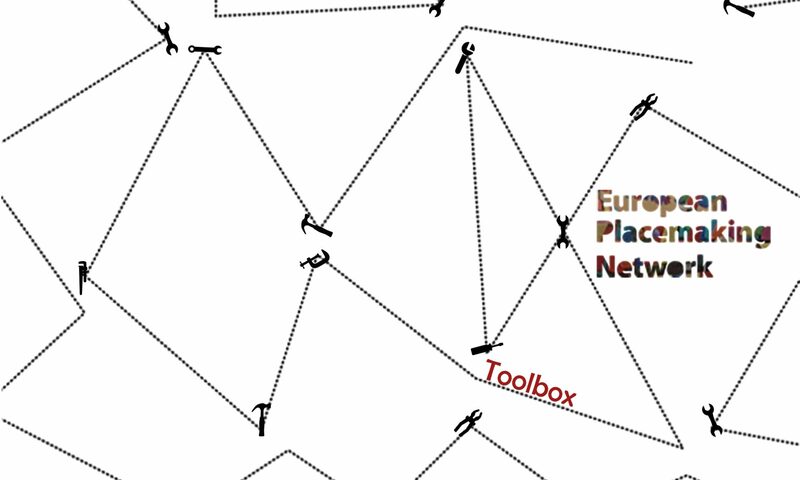 As active members of the European Placemaking Network (EPN), Todor Kesarovski (Bulgaria) and Viktor Kasala (Slowakia) will introduce the first version of the European Placemaking Toolbox and it’s importance for the EPN. They will share their experience with the development of the toolbox so far and explore their ideas for the future, with it’s possibilities and challenges. In the coming years this open source toolbox will be expanded with tools that are used all over Europe. In search for both the practical use and the professional development Todor and Viktor would also like to hear your thoughts! Victor and Todor will give a google hangout presentation. A live-streamed presentation by google hangout or skype offers the possibility to witness a presentation of someone who is not able to be present at the Festival. Born in 1988 in Medellín Colombia, he studied Industrial Design in Universidad Pontificia Bolivariana, Medellín. In 2010 he started working for the company Rolformados SA as their first plant Designer, where he developed his first Architectural projects with large-scale products, which allowed him to form the Design group that today lead the department in the company. In 2012 he starts his own business project Tu Taller Design S.A.S a company that he leads with his co-founder Julian Del Valle. During his career, his passion for physics and mathematics has led him to explorations in the field of materials and product development. Currently, he is Design Director for the Poligono Brand, a line dedicated to designing, developing and producing objects that are somewhere between Art and Design. He also acts as Director of the international event Design Week of Medellín (which he also Co-Founded) where he presents the best design studies of Colombia and the world. His last project is MakerHome, an initiative in which he focuses on developing modular houses of wood, with digital fabrication tools and quick ensembling times. 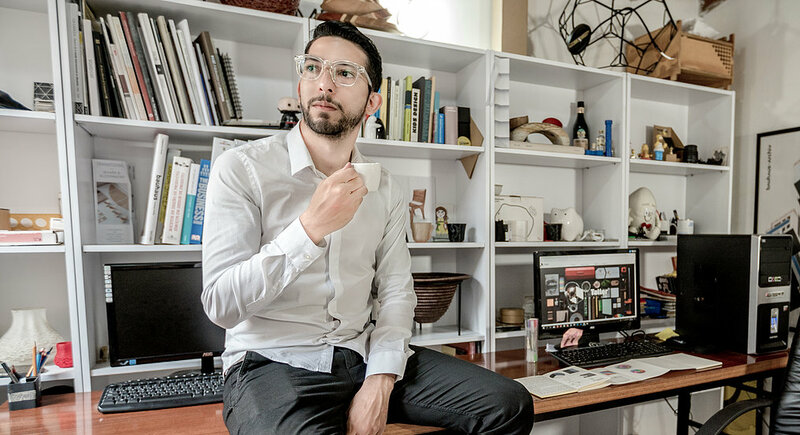 David H. Del Valle also develops Desing Consulting for companies, organizations and public entities as well as products and projects as an Industrial Designer. David will give a google hangout presentation. Architekti bez hranic is a group of architects and designers working in and with public space, with focus on excluded areas and people in the city. 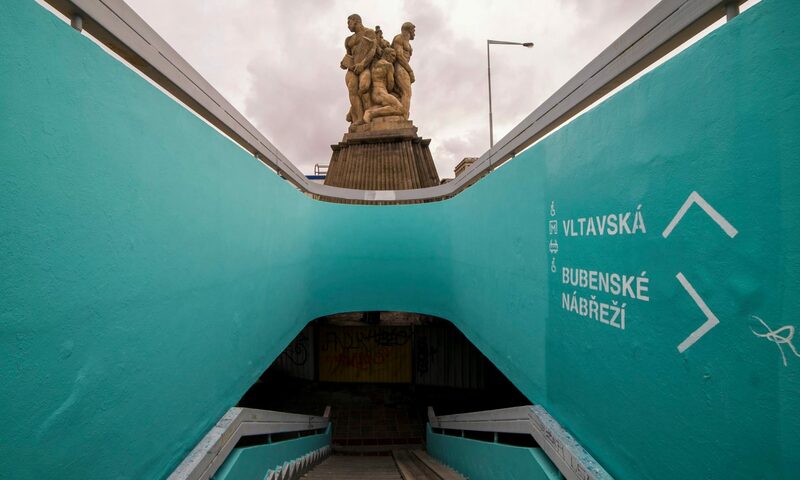 Wayfinding systém – Vltavská is self-initiated project of Architekti bez hranic, the aim was to help people to navigate in a complex serie of tunnels and underpasses under the busy highway, which lack any orientation systém, public lighting and in general it is very neglected area, even though it’s frequently used by pedestrians, cyclists and tourists. 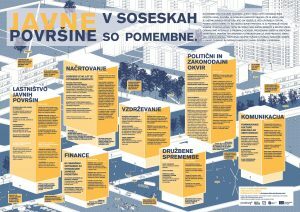 Wayfinding system we designed and realized was not only to create some solution for problems this place have, but mainly to point out and start disscussion about ways how Vltavská area could be revitalized. Jakub & Karolína will give a google hangout presentation. 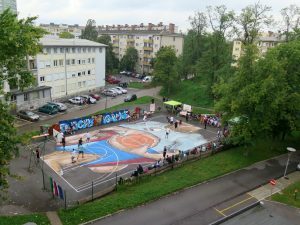 Renewal of public space in post-socialist housing estates in Slovenia poses a great challenge. “Social property”, denationalisation and past privatisation processes resulted in an unclear cadastral status and ownership of public spaces, along with poor maintenance and land fragmentation. Any renewal process was hindered by the lack of both public and private funding. 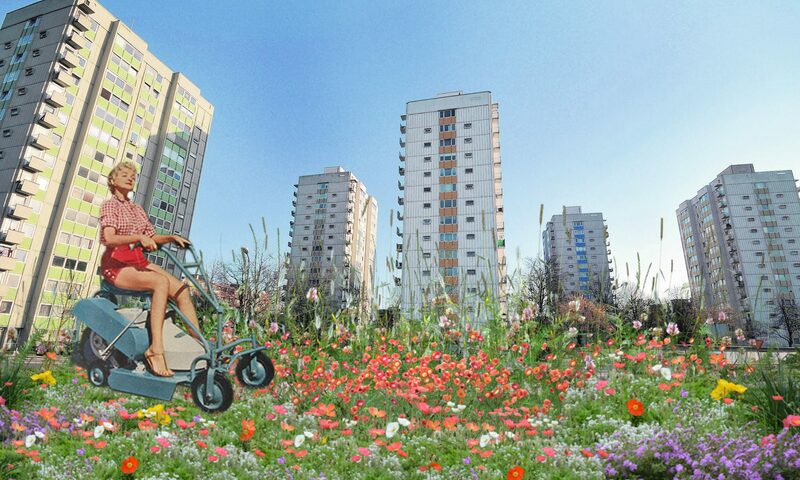 To understand why renewal of public spaces in housing estates is such a difficult process, we conducted a research study and an awareness-raising campaign. The broad range of issues identified by interviewees showed that spatial issues on small, neighbourhood scales are embedded in a wider political, legislative and social context. The on-going process of transition from a socialist to a neoliberal system meant complicated ownership issues and affected the development and renewal. However, we noticed that the most pronounced issues are related to poor communication and lack of mechanisms for public participation. As a non-government organisation, we address this topic through several different projects. 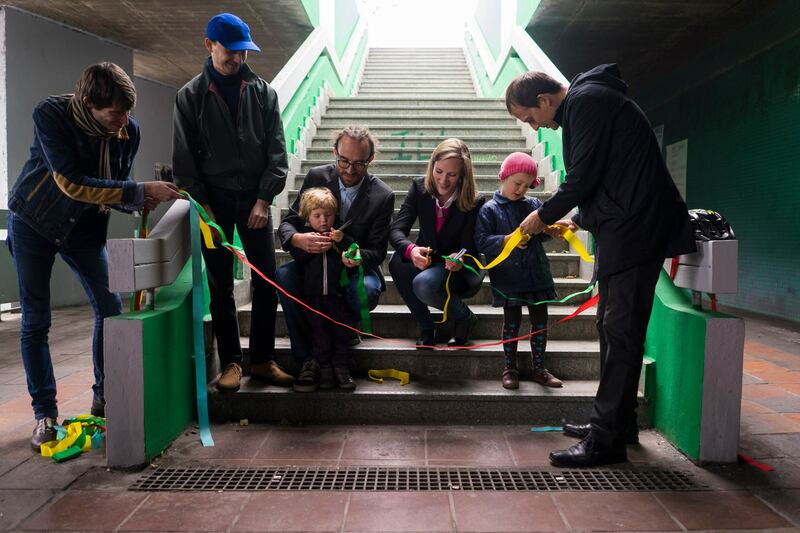 We tackle the issues and strive for solutions through tactical urbanism, temporary interventions in public spaces, events, public space renewal with inclusion of residents, with workshops for city municipalities and by raising awareness, by preparing strategies for introduction of Offices for renewal in different cities, and much more. Alenka will give a google hangout presentation.